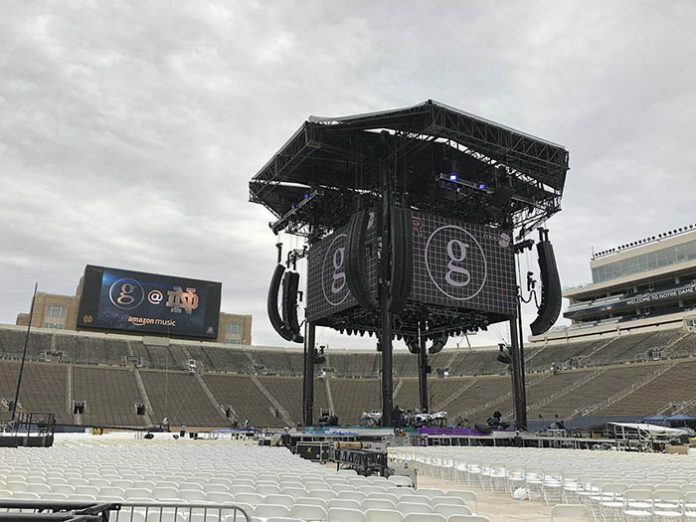 Though the show was delayed by an hour, nobody cared once the sound of Garth’s latest hit, “All Day Long,” radiated through Garth’s exclusive Clair Brothers PA. After the song Garth Said, “Hello, Notre Dame! We’ve been waiting for this for a long time. How y’all doing?” Thunderous applause amid tens of thousands of unadulterated screams more than answered his question.